Hey all!!!! Hope you had a great weekend! Mine was full, full.... FULL!! 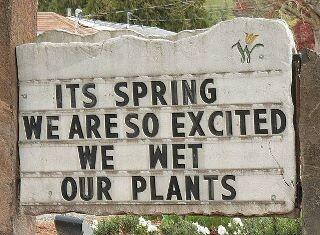 I'm so excited... I've got 3 new projects in the works (I know... I know... I'm crazy!) Started the Christmas wool applique quilt for Cinnamon's (it's so wonderful), cut out a fall quilt to piece, and started my NEW hand piecing project - through Inklingo.com. I'm printing my pieces on fabric...through my printer. It's a surprise... I should have a portion of it pieced this Thursday. My friend, Karen L., is showing me all the great details. She's a wonderful hand piecer and it will be fun to do the project with her! We're hoping we can get some more gals hooked on this technique. 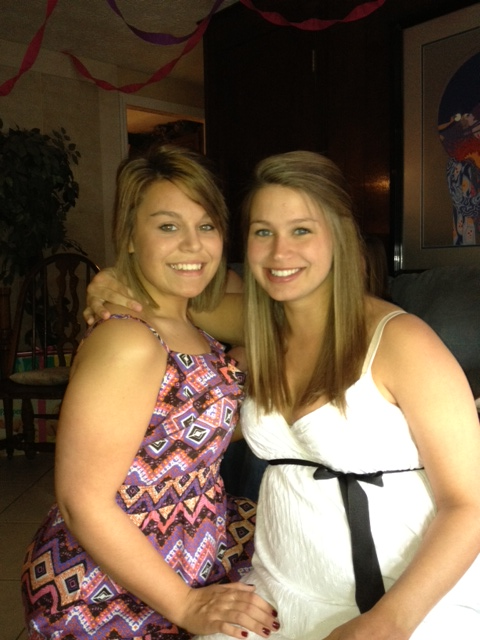 Went to my grand-daughters baby shower!!! Jaimi is on the left & Elizibeth (mommy) is on the right! Aren't they gorgeous???? They are my sons two oldest girls. I've never seen so many baby clothes in my life... this little angel (Aubree) will be high stylin' !!! They are getting ready to move into an adorable house (that their Me-Maw, mom and dad) are fixing up for them. It's just perfect for their first place! Close to mom and dad but yet still on their own! 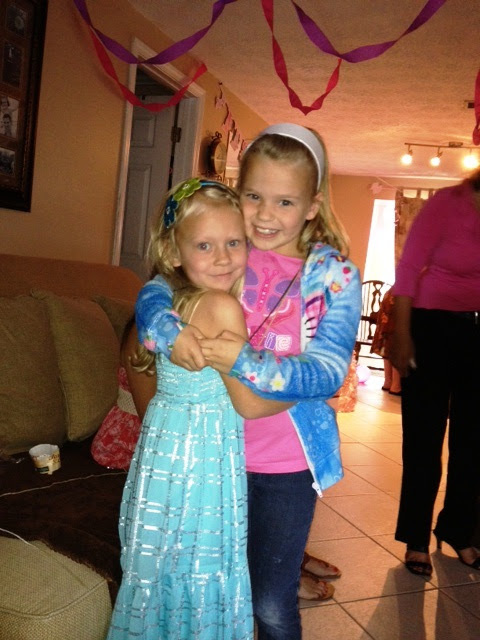 Then we have my other two sweeties.... Eden & Lexie! Eden is Toby's youngest daughter and Lexie is Heather's (my daughter). They are pals... 3 years apart!! What a wonderful day being with all of them! Just to let you know... I'm progressing in my SOCK!!! I've finished all through the heel and am now knitting the foot part...working to my toe! Man... I love making these things... I know... just call me sick! Klasina (my instructor) is a great teacher. She's a sock W_ _ _ re too! (That's what we are calling ourselves). Then... I got the great idea... 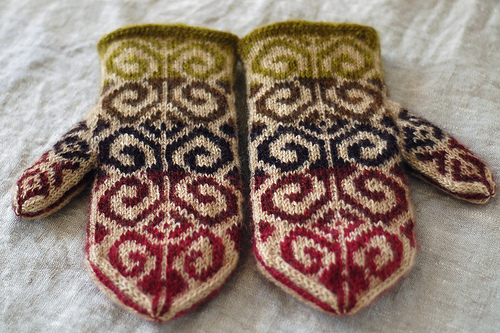 I'm going to make my sister-in-laws some mittens!!! Linda & Annie !!! They live in Indiana and it's freezing cold there. So... that's my next knitting experience. 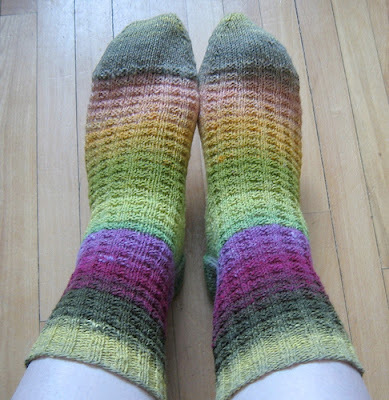 (once I finish my socks) Then I can make them socks too...they would love them! They love homemade stuff! Take a peek at these!! Are these not gorgeous.... Now... don't panic!!! I'm NOT making anything like this... I'm going for the simple style. I just had to show you these...I thought they were so wonderful. I don't think ... in my life time... I'll get to this level! If so... I need lots of prayers!! 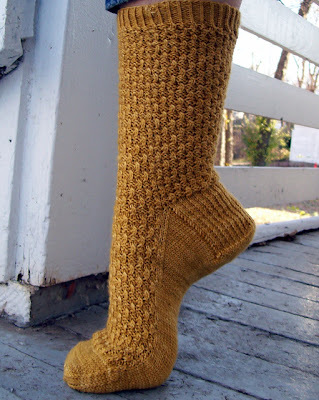 Check out these pretty styles of socks!! 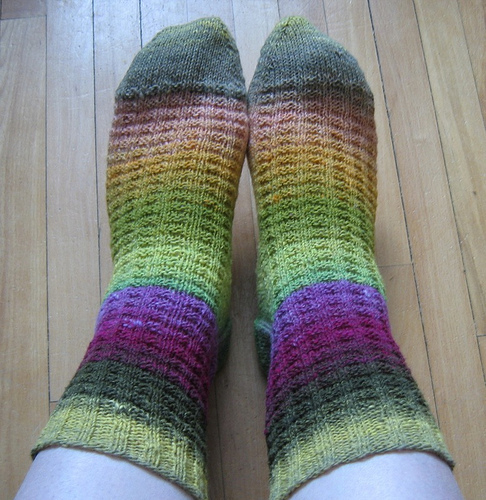 Some of the speciality yarn sock they make is ssssssoooooooooooo pretty!!! It's expensive... but sure makes a difference in the way it knits up and how soft they are on your feet. Look at these funny things!!!! This is so.... stinkin' true!!!! Love this!!!! 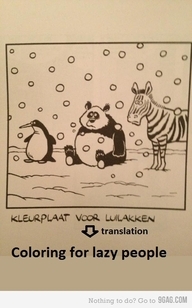 This is my kind of coloring!!! I thought this was a cute idea (for us primitive lovers). They found an old mailbox and put it by the front door... had a cute fern plant beside it... it's made to hold the wet umbrellas and canes! Cool!!! 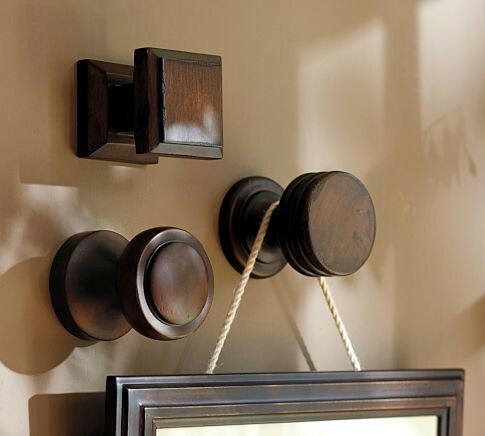 This is a really beautiful way to hang pictures!! You simply use pull handles. For those of you that are not into the 'wood' look...they would look so cute painted - any color - to coordinate with the colors in your room. Antique ones would be even more awesome!!! 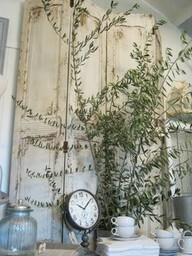 I love old shutters... I'm not sure why... 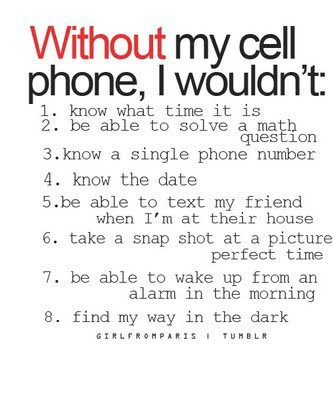 I just do! Decorating with them is even better. 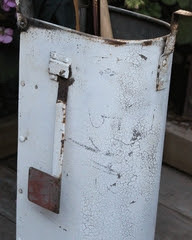 I currently have a set of 4 bi-fold doors (white) that my hubby has hinged for me! I have them in my sewing room... kind of separating the living room and sewing room area. Then I have a quilt folded and hung over the top...down one of the panels. They define a room into two very easily... and they don't have to be used only outside! Look how they have used them below! It's a great backdrop for a display!! They add texture to a plain wall!! I saw this in a DIY section...for a wedding! They have taken hundreds of photos... made copies and then connected them all together to make a runner down the brides table! Isn't that something wonderful? What a great memorabilia to keep from your wedding (as long as NO ONE gets food on them). I just thought it was adorable. You could even make smaller ones for the tables of your other guests. 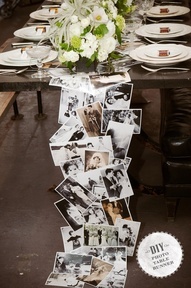 How much fun would it be to sit and look at all the photos while you are at the reception. Get the whole family involved and ask for their photos...copy them, make your table mats... and then give them back the photos at the wedding...wrapped pretty with a little thank you gift inside!!! ((sniffle)) Isn't he adorable??? 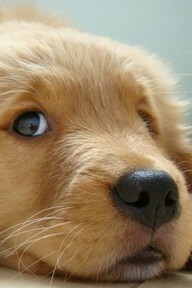 Look at those eyes! I just think it's amazing how sweet and innocent baby animals are... just so wonderful!!! I can hear him whimpering...can't you? Have a super day... I have so many wonderful projects to work on today... I don't know where to start!!! OMG!! !